Sudbury recently purchased a subscription to the full suite of resources, online activities and classroom management now available with BrainPop. I sent an update about this last June but since then there has been some confusion about the way to access this product. Schools should NOT be purchasing site based licenses nor should teachers be logging in with those credentials. To access our subscription to BrainPop you need to first log in and create an account. 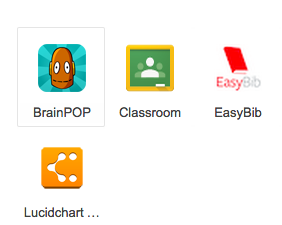 You can find the BrainPop icon in the Google grid located in your email page. Click MORE and you should see the BrainPop icon. After you select the BrainPop icon you will be prompted to select of you're a student or a teacher. Select Teacher. This will then bring you to a screen to enter the code that connects you to our subscription with access to all the great resources. You will then have access to all the videos and other resources as you did before, in addition to being able to give your students a code to access them as well. They will be connected to you as their teacher should you choose to get into this at this level. Enjoy!